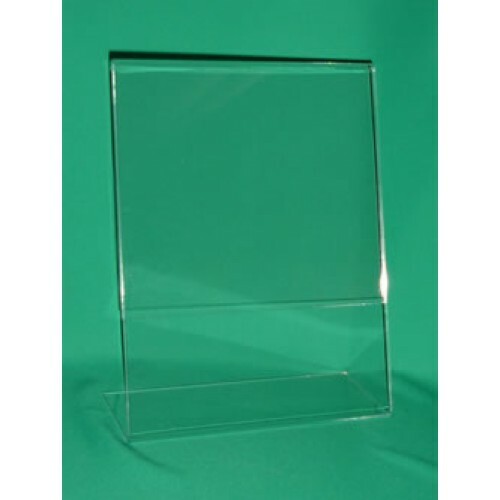 11" X 8.5" Easel Style Sign Holders / Sign Frames are made from 0.100" clear acrylic. 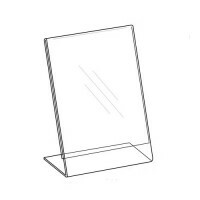 This Sign Holder has slanted frame to provide a better viewing angle for your customers. 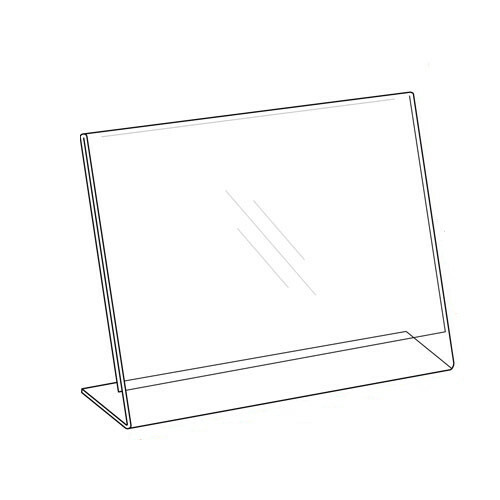 This angled design enables customers to easily read the entire advertisement or promotion. You can replace the new promotions any time without any difficulties. 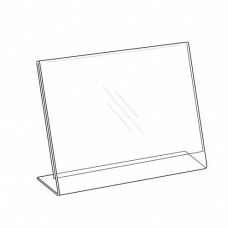 These Sign Holders are the most feasible way of advertising in banks, hotels, movie theaters, offices, or almost anywhere you can place your Sign Holder on a table or a counter. 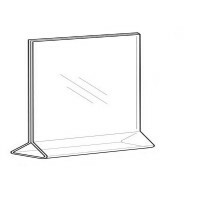 As a convenience for you we provide Add-Ons, in which you can place take-out materials, which will provide an additional chance for people to remember your business or offer. It will leave a tangible memory about your business. You can select from a two available options. 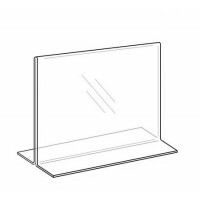 Please select a Business Card Holder or a Tri-Fold Brochure Pocket Holder to be attached to the bottom right side of the unit.